FDC Miami is an administrative security Federal Detention Center operated by the Southeast Regional Office of the Federal Bureau of Prisons (BOP), a Division of the U.S. Department of Justice. FDC Miami also known as Federal Detention Center Miami is primarily used as detention center to hold federal pretrial detainees going the federal criminal proceedings or awaiting sentencing, or been denied bail by a Federal Judge and been deemed a flight risk or threat to the community.in the U.S. District Court for the Southern District of Florida. The Federal Detention Center is a multi-story high-rise in Miami, Florida and houses over 1300 administrative security male and female Federal inmates in dormitory type housing units. Miami, FL, is located in Miami-Dade County, Florida and has a population of 417,000. FDC Miami inmates are not allowed to receive packages without prior written approval from the institution. Inmates may receive magazines, hard and paperback books directly from the publisher. To order Discount magazine subscriptions for inmates click here or on the banner below! Inmates may receive packages from home containing release clothing and authorized medical devices. A written authorization form must be included in the parcel. The Federal Public Defender’s Office for the Southern District of Florida is a branch of the U.S. Office of the Courts. The Public Defender provides criminal defense services to defendant’s being charged with a crime violating U.S. Law by the U.S. Attorney’s Office and unable to afford a private lawyer of their own. The criminal charges defended includes drug crimes, tax law violations, firearms offenses, bank robbery, racketeering, bank fraud, environmental crimes, and computer-based offenses. Broward, Highlands, Indian River, Martin, Miami-Dade, Monroe, Okeechobee, Palm Beach, and St. Lucie.Court for the Southern District is held in Miami, Fort Lauderdale, Fort Pierce, Key West, and West Palm Beach. 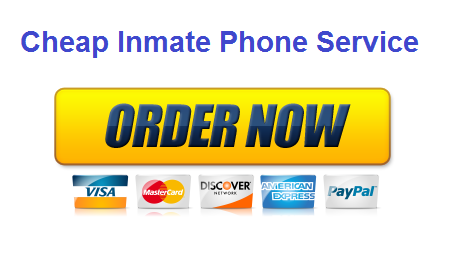 To verify an inmate’s incarceration location prior to visit, contact the Federal Inmate locator at http://www.bop.gov/inmateloc/ By law, federal inmates are authorized four hours of visiting per month, but many prisons provide more. Visiting hours for FDC Miami is scheduled daily according to housing units. Wardens can restrict the length of visits, or the number of people who can visit at once, to avoid visiting room overcrowding. It’s recommended to call the FDC Miami Control Center at 305-577-0010 to confirm the visiting schedule before departing for your visit.